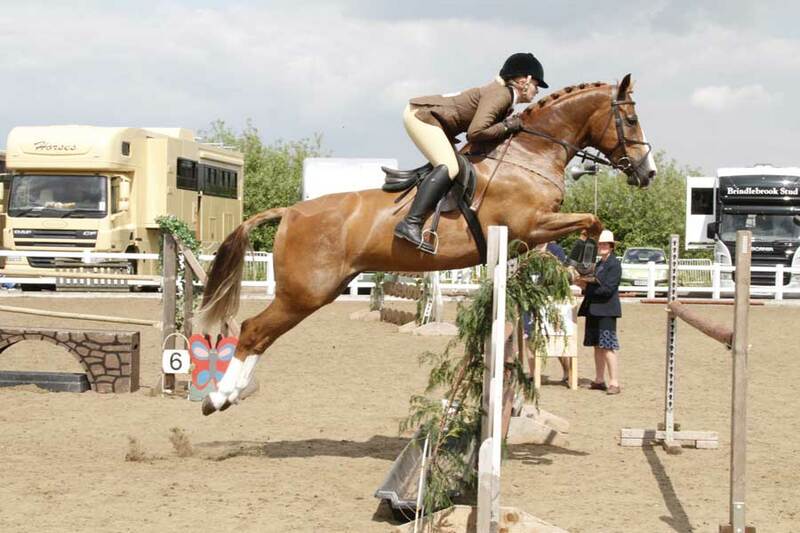 In 1993 a discussion held between Sir Stanley Clarke the owner of Uttoxeter Racecourse and Mrs Liz Mansfield Parnell about reviving Midland Counties Show which had ceased several years earlier resulted in the re birth of the Show, using the centre of the Racecourse as a venue. Mrs Liz Mansfield Parnell as Chairman, formed a Committee of five and invited the Countess of Shrewsbury and Talbot to be President . The Countess kindly offered the use of her home to hold meetings and it was decided to run the Show for Charitable purposes. The chosen Charity was Katharine House Hospice at Stafford, which was just laying the Foundation Stones to build the facility and were in great need of funds for both the building costs and its future, such a needy cause . The original Show was always held on the first Sunday in June, a tradition that was kept. 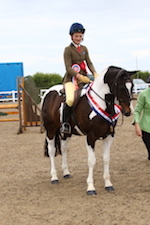 The first year of the event enabled a donation of just £150 to the Hospice, mostly generated from the income from the Show Jumping classes. 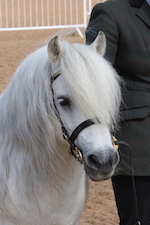 Even Shire Horse classes were held in those early days. 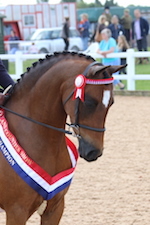 The early success and popularity of the show and its growing reputation was rewarded with both HOYS and RIHS qualifiers, which of course, helped to increase the entries. The recruitment of additional Committee Members shared the workload and the Show went from strength to strength – thus able to donate even more funds to the Hospice. 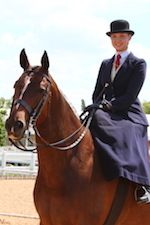 In 2010 the show was increased to two days to accommodate the ever increasing range and size of classes. Uttoxeter Racecourse remained the home of the Show until 2012, a wonderful friendly venue which everyone seemed to enjoy. As the Show grew in size, space became a problem, coupled with the work involved year on year of erecting the Show on a green-field site and returning the Racecourse back to its original condition after the event. The threat of inclement weather on that green field site was always a cause for concern. In 2012 the opportunity arose to move the Show to Arena UK, Grantham – a bold decision, but one which has proved a great success.